The photos on Ricardo (showing the "Orange Hands" guy) were so poor, that it is difficult to see the "telltales", on this particular watch. Usually we can find a telltale on the dial, but it is difficult here. It seems possible to me that there could be 149xxx Chronomatic Carreras . . . we have seen these sorts of gaps from time to time in various models and executions (for example, the Chronomatic Autavia 1163 MH) . 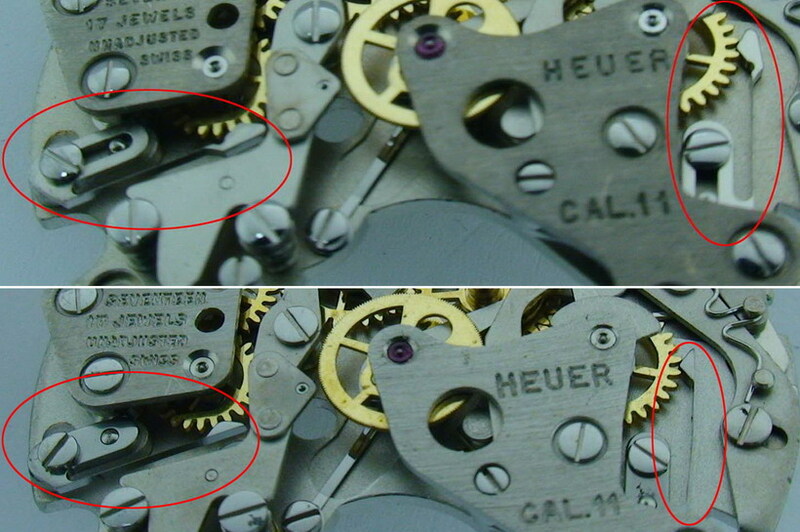 . . so it does seem possible that Heuer made the first batch, then -- at some later time -- discovered some extra dials and made a few more of these (with the 149xxx serial numbers).